I just downloaded this CD and have not even had the chance to use all the tracks. What I have used, I have thoroughly enjoyed, as have the dancers that have heard it (so far, ages 10-12). 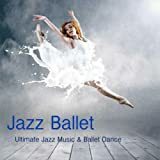 Although I LOVE ballet music, we all need a change from time-to-time and I am enjoying this one!